When Otto and his robot sidekick, Toot, follow the crook, they discover a topsy-turvy world where rats chase cats and people wear underpants over their clothes. To get his presents back, Otto needs to solve a slew of backwards puzzles ― but his greatest challenge comes at the journey’s very end. 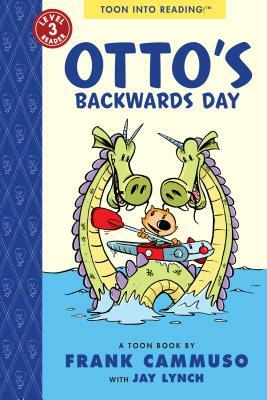 On this special day, will Otto discover something even better than cake or gifts?